The team of VTC Strasbourgeoise, your Chauffeur VTC in Strasbourg, wishes you a pleasant trip! For many years we have been transporting hundreds of customers with our Private Vehicle in Strasbourg, Alsace, Germany and Switzerland. With our experience and professionalism, we will be your partner of choice for all your trips! Whether it is a personal, professional, family, associative, or whatever the reason! We will ensure all your travels with seriousness, professionalism and passion. We are passionate about the transport of people and we will make every effort so that your trip is unique, enjoyable, friendly and comfortable. You are looking for a Private Driver between Strasbourg and Mulhouse? 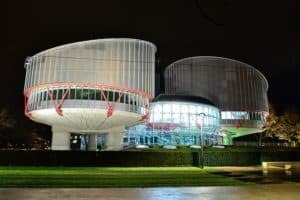 An experienced driver between Strasbourg and Luxembourg? Important meetings in Basel or Frankfurt? Our company will take charge of the rest and you’ll be free to enjoy your trips and relax before your appointments. Looking for a partner with modern technological tools? We have the solution! VTC Strasbourgeoise has set up an online booking service to save you time and improve reliability. This service allows you to book directly, with ease, and to offer our services in a few clicks. Looking for a driver with a reliable, new and well maintained vehicle? You cannot afford to suffer hazards. We understand this and that is why we offer a vehicle that will meet all your requirements. For more information, visit the following link. You are looking for a Private Driver in the agglomeration of Strasbourg of confidence? Our customers completely trust us. We perceive our relations in the long term and that is why at each of our races, we realize all the necessary to make you want to come to see us again. We have many services on board to make your journey a rare moment of relaxation. Looking for comfort? Our vehicle is one of the most comfortable of its range. You’ll enjoy the silence in the cabin, the comfort of the seats, the spacious trunk for your belongings and a cleaned space for you to feel at ease. Comfort is one of our priorities! Our customers warmly recommend us because we are passionate our service is the best. VTC Strasbourgeoise, is born from a passion, the passion of a team that want to offer you an irreproachable service, qualitative and in adequacy with your needs and your desires. Since many years of transport and listening, we have learned a lot and we have evolved a. This search for excellence is a guarantee of quality and a guarantee of professionalism. We will always be motivated to get you the best service ever. The city is located in the center of the European area. A few kilometers from the German border, near Switzerland and the city of Luxembourg, another European capital, and not far from Brussels. 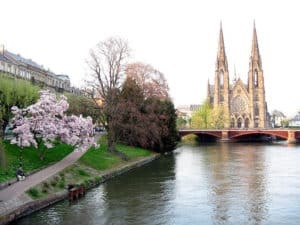 The Alsatian capital is also a city open to the world since many languages are spoken there and you can find a lot of different cultures. 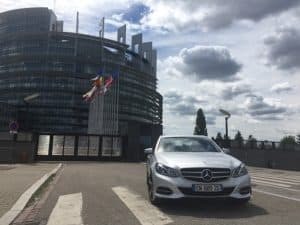 We will ensure your travel with a Private Chauffeur to the European Parliament and the various bodies and groups of the European Union. We will be your partner for all your travels in the capital of Europe.